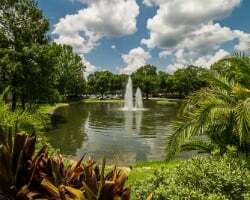 Located right in the heart of lovely Lake Buena Vista, Sheraton Vistana Resort Springs Villas offers everything you could want in a vacation: an unrivaled location, essential vacation accommodations, and wonderfully appointed amenities all at a fantastic price. Find Springs Villas timeshare resales and rentals at SellMyTimeshareNow.com and save thousands of dollars off the retail price. If you’re looking for the perfect place to stay during your regular trips to sunny Orlando, look no further. Sheraton Vistana Resort Springs Villas is the premier destination for you and your family to retire to every day after visiting Orlando’s biggest attractions and theme parks. 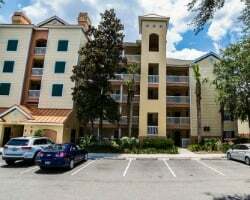 Located in Lake Buena Vista, you’re a short ride away from Universal Studios Florida, SeaWorld, and Walt Disney World. 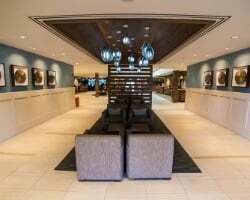 For an additional fee, Sheraton Vistana Resort offers a shuttle that will transport you to and from the theme parks, easing the stress of finding parking in the busy lots. But Sheraton Vistana Resort Springs Villas is more than just a convenient place to sleep; it’s also home to some fantastic amenities. You can take a dip or soak up some sun at six different pools around the resort. Kids can enjoy snacks and treats, while the adults indulge in some refreshing cocktails at the poolside bar at restaurants such as Zimmie’s Bar and Grill and the Tacky Tiki Bar and Grill. Enjoy all the wonderful amenities in your one- or two-bedroom villa year after year. Each spacious unit provides room and comfort for you and your family to lounge in the living room, cook up a nice meal in the full kitchen or kitchenette, and watch all the fun going on in the Sheraton Vistana Resort area from your own private balcony or deck. The bedrooms offer maximum comfort to help you unwind after a long day at the parks, and owners can enjoy a nice whirlpool tub in the master bathroom to ease them to sleep. Timeshare resale ownership is similar in many ways to purchasing a timeshare from the developer, but with great financial differences. Purchasing a Sheraton Vistana Springs Villas timeshare on the secondary market could save you thousands of dollars because you’re buying directly from the current owner with no hidden fees associated; the price of the property is based on the trends of the resale market. Owners are also given much more flexibility in order to adapt their timeshare week to fit their vacation schedule. Choose between a fixed or floating week with annual or biennial usage. If you’re the owner of a floating week, you’ll have the ability to choose your vacation week in a variety of seasons, including Platinum, the most desired season. Vistana Resort Springs Villas, like all Sheraton properties, is affiliated with Starwood Vacation Ownership. Starwood owns many different brands and is renowned for their luxurious vacation homes at cost effective prices. Sheraton Vistana Resort Springs Villas continues to strengthen Starwood’s catalog for its wonderfully appointed villas and appealing resort features that keep owners coming back year after year. Learn more about Starwood’s excellence in the vacation ownership industry at our Information Center page. One of the most universally celebrated perks about Sheraton Vistana Resort Spring Villas ownership is the ability to purchase memberships to either RCI or Interval International. These two external timeshare exchange companies are the biggest in the industry, both offering thousands of different resort weeks in countries all over the world. Sheraton Vistana Springs Villas is an “RCI Gold Crown Rated" and “Interval International Premier" resort, giving its owners a more advanced level of trading power. Whether you’re looking for an activity to kill time in between theme park adventures or you’re looking to spend the day at the resort, Sheraton Vistana Resort Springs Villas is your destination. Spread out over 135 acres of tropical landscaping, you’ll find endless fun-in-the-sun activities such as scuba diving, a jogging path, and more. Work up a sweat in the Sheraton Fitness center, challenge a friend to a game of tennis on any one of the 13 lighted courts, then unwind at the resort saunas. The Marketplace is available for a quick snack or a coffee, and head over to the gift shop for special souvenirs to give to the little ones and all your friends and family back home. Children’s activities are also available. 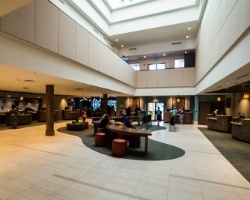 Sheraton hosts a Kids Club which gives kids space to be entertained and creative while the parents can head out and do their own adults-only adventures at Downtown Disney and Pleasure Island. Already Own at Sheraton Vistana Springs Villas?